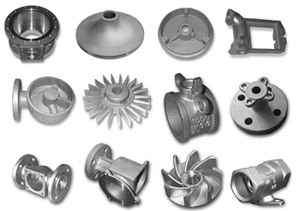 The technique of investment casting is both one of the oldest and most advanced of the metallurgical arts. Investment castings are at work in the fiery combustion chambers of jet aircraft and in the sub-zero vacuum of space. Yet, the root of this technology, the cire perdue or “lost wax” method dates back to at least the fourth millennium B.C. The artists and sculptors of ancient Egypt and Mesopotamia used the rudiments of the investment casting process to create intricately detailed jewelry, pectorals and idols. Remarkably, civilizations as diverse as China’s Han Dynasty, the Benin Kingdom in Africa and the Aztecs of pre-Columbian Mexico employed similar techniques. The cross-cultural adoption of this complex process implies a great degree of commerce and communication in antiquity. In Renaissance Europe, the Italian Sculptor, goldsmith and author, Benvenuto Cellini, cast his bronze masterpiece “Perseus and the head of Medusa” using the lost wax process. The investment casting technique was largely ignored by modern industry until the dawn of the twentieth century, when it was “rediscovered” by the dental profession for producing crowns and inlays. The first authenticated record of the use of investment casting in dentistry appears in a paper written by Dr. D. Philbrook of Council Bluffs, Iowa in 1897. However, the true significance of this process was not realized until Dr. William H. Taggart of Chicago published his research in 1907. 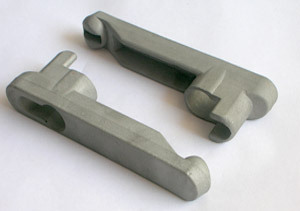 During World War II, with urgent military demands overtaxing the machine tool industry, the art of investment casting provided a shortcut for producing near-net-shape precision parts and allowed the use of specialized alloys which could not readily be formed by alternative methods. The investment casting process proved practical for many military components—and during the postwar period it expanded into many commercial and industrial applications where complex metal parts were needed, however, the process was still relatively obscure. In the decades that followed, many innovations such as the shell process, the steam autoclave, conveyorization, automation, and robotics have modernized and transformed the process. In today’s world, investment castings touch all of our lives. When we fly on an airplane, drive an automobile, play golf, use a utility tool, power tool or hand tool, we are using investment castings. Once thought of as suitable only for low volume, high cost applications, investment casting has evolved into a technology capable of producing quantities of millions of pieces per year, at costs rivaling those of less flexible and desirable methods. What Prime Industries can do for you? Do you buy metal parts within a size range from less than 0.5 in. (12.5mm) per side to as large as 24 in. (610mm)? Do the designs have wall thicknesses ranging from 0.015 in. (0.38mm) to 2.0 in. (51mm)? Are the parts made of aluminum, lowalloy steel, high-alloy steel, stainless steel, nickelbase alloy, brass, bronze, titanium or cobalt-base alloy? Are the production rates in the range of 10 to 100,000 per day? If the answers to some of these questions are “Yes,” then it is worth your while to read on. See how Prime Industries services hundreds of other customers with similar part requirements. Tell us your challenges—let us participate in the solutions. Investment castings are dimensionally precise, have the smoothest surface finishes of any castings for most alloys and are available in more alloys than from any other process for shaping metals. Engineers and metallurgists with experience in all forms of metal parts manufacture are available to assist you with design, support development and production planning. They know if a part should be a casting or should be made using another process and will make the best recommendation for you, the customer.You can take advantage of this experience by contacting Prime Industries. Our engineers will review the part function, ambient conditions, stress levels, needed life, needed stiffness, type of loading (continuous or cyclic) and special considerations such as magnetic, thermal expansion or electrical needs to assist with alloy selection. They can then assist you with consideration of manufacturing approaches and test designs in those approaches to see which process best fits the alloy and cost objectives of the part or assembly. The goal is to produce the lowest-cost part which will provide the desired performance, regardless of the manufacturing process selected. Achieving this may include simplifying the design, reducing the number of parts needed in an assembly or incorporating new features to enhance performance while keeping machining and assembly costs low. If investment castings result are indicated, Prime Industries can assist you with their design to assure the lowest cost results. If the requirement is an assembly which requires an investment casting, Prime Industries may submit a proposal for doing the complete assembly. In any event, Prime Industries will assist you in finding the best source to refine the design and obtain pricing. Prime Industries knows its customer’s best interest is its best interest and will always make the best recommendation for the customer, regardless of the manufacturing process needed for the part.If you decide to work with Prime Industries, you can count on us for finite element analysis design support, handling of CAD/CAM software of any kind, short lead time for tooling, installation of whatever facilities are required to support production and production in facilities which are qualified to the most stringent international and major company quality standards. Flatness is also affected by dimensions of casting. Addition of ribs will minimize bowing, twisting and distortion and mechanical straightning will reduce variations where necessary.